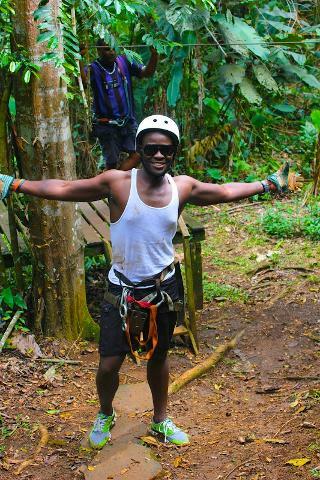 cable, you will soar through the Caribbean jungle and see the world from above. 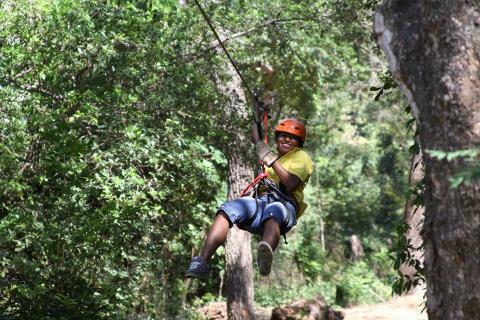 Don’t miss out on this thrilling canopy tour; there is really nothing quite like it! Transportation, snacks and equipment provided. 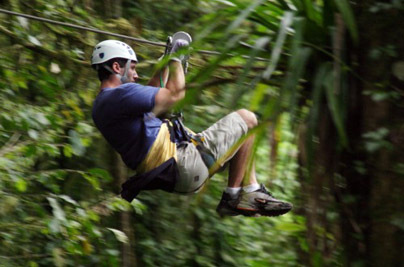 Your ziplining tour begins 30 minutes outside of Puerto Viejo. Transportation is provided from your hotel and we drive you to the first canopy platform. We’re excited to boast one of the most spectacular lengths of cable at 285 meters long, 80 meters high. This is the cable that will carry you directly to the heart of the jungle where you will take a short hike with your nature guide. You will be hiking in primary forest growth and your guide will show you various flora and fauna as well as how indigenous communities utilize these plants. 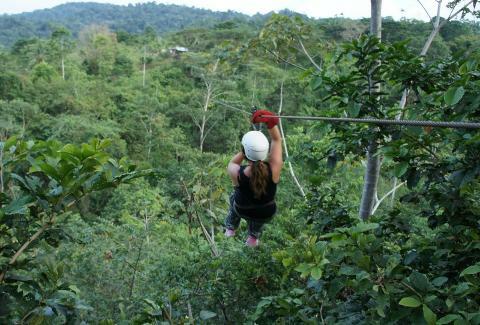 After the hike you will continue your canopy adventure. 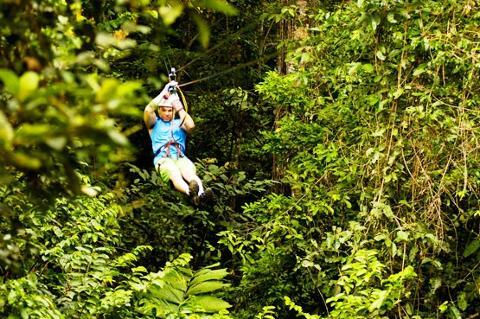 This tour includes 10 aerial platforms and 12 on land for a total of 2,760 meters of ziplining adventure. Once you climb the 7th platform, you will not touch the ground again until the final run enabling you to have a spectacular bird’s eye view of the jungle. At each platform stop your nature guide will continue to explain the curiosities found in this lush environment. 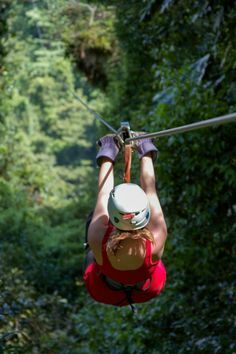 On the last platform, you will have the choice of making a descent by rappelling, by a Tarzan swing or by a zipline cable to the ground. We now also offer the possibility to have your last zipline descent head first - Superman style - for an extra charge of $10. After your canopy tour a snack will be provided as well as transportation back to your hotel.